Hashtags are everywhere these days. Whether you use Twitter, Facebook, Instagram or other social networks you cannot avoid seeing hashtags. Indeed, some people even using them vocally. I was at a dinner recently where one of the guests loved the food and said to the hosts “hashtag amazing”. Hashtags allow you to follow an event, such as #GC2018 which provides updates on the Commonwealth Games at the Gold Coast in April 2018. All you do is a search for that hashtag, and you will get everything that people have been Tweeting on the subject, even if you don’t follow those individuals. Hashtags also help create public action, such as in the #MeToo campaign. That has helped considerably in driving the potential for change for women, who have had to endure sexual harassment and sexual assault in the workplace for centuries. Furthermore, hashtags can create awareness. This week, for instance, is #AutismAwarenessWeek and that is a “trending hashtag”, showing it is gaining massive popularity online. There is little doubt that hashtags are a force for good. They can inform, educate and help change the world in which we live for the better. But hashtags have their problems too. 1.People overuse hashtags. When a Tweet or other social media post is stuffed with hashtags, it makes it hard to read. Because the hashtags stand out as links, they can disrupt readability. Stuffing a Tweet with several hashtags actually decreases the chances of people engaging with the item. 2. Many people find hashtags annoying. Even though they are popular, hashtags are often off-putting and annoying because they appear irrelevant. A hashtag used widely in the last hour has been #London. That’s useless to most people. Knowing what is going on in London is irrelevant as it is such a large place. Furthermore, does the hashtag mean London, England, London, Arkansas, or London, Ontario or any of the other 13 Londons that exist? Vague hashtags are commonplace as well as such highly specific ones that no-one other than the author will know what they really mean. Such poor use of hashtags annoys people. 3. Hashtags can be hijacked. An analysis of hashtags used in agriculture found that one hashtag used by the industry to promote itself, #farm365, was being used by campaigners to demote the sector. There are several examples of companies inventing hashtags for marketing purposes only for them to backfire. The hashtag #QantasLuxury was used by the Australian airline to help promote stories about its high quality. Unfortunately, what the company got was hundreds of Tweets talking about poor service. Similarly, the UK supermarket Waitrose, launched a hashtag campaign #WaitroseReasons, only to find itself receiving hundreds of Tweets talking about the pretentiousness of the store. Once you start using a hashtag, you are no longer in control of what is associated with it. 4. Hashtags polarise. Evidence shows that hashtags accentuate the “echo chamber” effect of social networks. As people use popular hashtags, the traffic on the topic becomes more associated with the theme of that hashtag than it does on the issue itself. As a result, an online discussion in social networks becomes biased once hashtag usage takes place. Plus, it seems that the more of this kind of activity that takes place, the more polarised things become. 5. Spammers love hashtags. Hashtags, especially those that are trending or which have a regular pattern of appearance (such as those for specific days of the week) attract spammers. It means their messages can be seen by thousands of people who might not otherwise be accessible due to spam filters in emails. When you start using hashtags, you open yourself up to receiving spam – and that’s one reason why many people dislike hashtags. So are hashtags dead? Probably not. But their value in business is limited. You can end up in hot water as your hashtags are hijacked. You can find you are using the same hashtags as the competition, bringing them attention instead, and you could be using hashtags which annoy people or confuse them. That means you need to plan your use of hashtags carefully. These aren’t just additional words you can add to your social media posts in a “throw-away” kind of way. 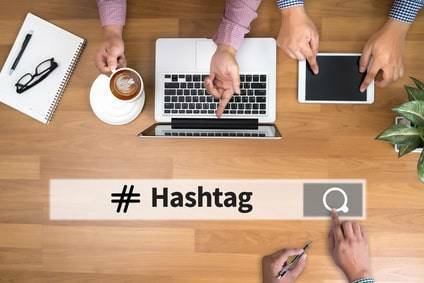 Using hashtags needs strategic thought, analysis of the potential pitfalls for each specific hashtag as well as consideration of the impact your hashtags will have on your target audience. What now for social media?